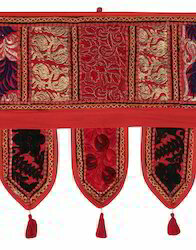 A large range of cutouts for Rangoli. Beautiful door pieces, wall hangings and more, all waiting to be created by you. This New Bandhawar Cutout has a smooth finish easy to paint on! 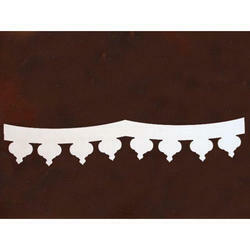 Matching up with the ever increasing requirements of the customers, our company is engaged in providing beads toran. It is a white metal banderwaan for the occassion of diwali. it is the best for door hanging than others. Wooden folding bandanwar by RG Creations. Relying on our expertise in this domain, we are into offering Handmade Bandarwal. Bandarwar made of artificial Marigold flowers. Bandhanwar available wholesale . Minimun 12 peices different designs . For more details contact. Which is made of two different quality pearls. And one exclusively made from pearls brought to you from the Bay of Bengal. which will cost you 128$. It comes with a life time guarantee of pearl being white throughout your life. We do customized bandhanwars as per ur requirement for size n theme. We also provide online/onsite tutorials for the same. Made of wood and ceramics and hand painted by dicoplast based colours.